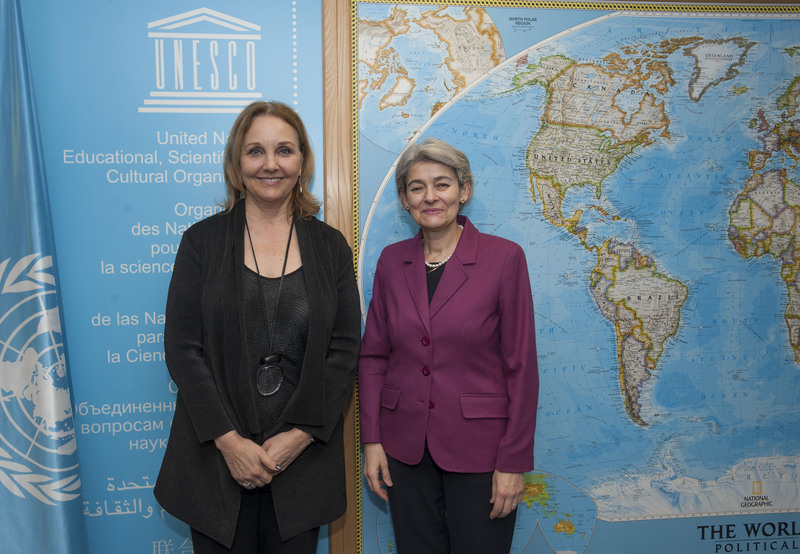 PARIS, FRANCE--(Marketwired - December 11, 2015) - UNESCO Director-General Irina Bokova and Asia Society President and CEO Josette Sheeran, signed an agreement today to work together to implement Global Citizenship Education at global, regional, national and/or school levels. The two organizations share a history of collaboration and a common goal to work toward the objectives of Goal 4 of the 2030 United Nations Agenda for Sustainable Development regarding quality education and, in particular, Target 4.7 which focuses on global citizenship education. "We must educate a generation of global citizens -- versed in human rights, culturally literate, skilled for intercultural dialogue, compassionate and committed to building a better world for all. Our partnership with Asia Society will contribute to delivering on the promise of the 2030 Sustainable Development Agenda and prepare all students to succeed in a global era." The partnership will mobilize Asia Society's education frameworks and expertise -- including teacher and principal training, curriculum materials, and international best practices sharing to support UNESCO Member States to implement global citizenship education. "Asia Society values our strong relationship with UNESCO, and we are pleased to form this partnership, which is particularly timely with the upcoming launch of the Asia Society Center for Global Education in 2016," said Sheeran. 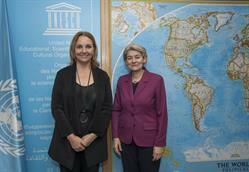 "As we consider critical 21st century education challenges, we are glad to join forces with UNESCO to help nations meet their global citizenship education goals." Global Citizenship Education (GCED) is one of the three priorities of the UN Secretary-General's Global Education First Initiative (GEFI) launched in September 2012 and taken forward by UNESCO. GCED aims to equip learners of all ages with values, knowledge and skills based on respect for human rights, social justice, diversity, gender equality and environmental sustainability and empowers them to be responsible global citizens, promote a better world and help prevent violent extremism. UNESCO has organized several international consultations on global citizenship education and developed the first pedagogical guidance outlining topics and learning objectives. It promotes GCED through policy dialogue, technical guidance and a clearinghouse which offers a rich resource of written and audiovisual materials. Asia Society has worked for more than 60 years to build bridges of understanding in policy, culture, and education between the US, Asia, and globally. Its education mission is to develop global competence in students, young leaders, and educators as the foundation for understanding between people in the Asia Pacific region and throughout the world. The Asia Society Center for Global Education brings together leaders and institutions to tackle one of the most critical education challenges today: how to educate all students for employability and citizenship in a global era. Over the past decade the Asia Society global education team, led by Dr. Tony Jackson, has developed a global competence framework for teaching and learning, in partnership with education experts from the Harvard Graduate School of Education and Stanford University and with support from the Bill and Melinda Gates Foundation, Carnegie Corporation, and others. This framework, which defines what students need to succeed in a globalized job market and world, has now entered the first phase of implementation and is currently deployed in more than 30 primary and secondary schools in the United States. It provides a tested methodology for actualizing the UN targets regarding global citizenship education.